The Lemonheads, originally uploaded by rridey. 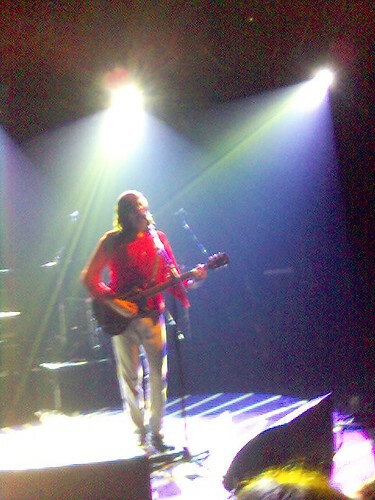 Evan Dando & Co at the Shepherd’s Bush Empire in London tonight. Another great gig in what’s been a year of great gigs. Dillan Chancey, 7, sits in all that is left of his shattered home in Biloxi. Of all the terrible images I’ve seen in the past few days, this one really hit home. He’s only a year older than Charlie. There but for the grace of God … Watching the disaster unfold and society unravel in New Orleans, I’ve had to keep asking myself, is this really happening in America? But it is really happening in America. Now every American needs to ask one question of themselves and their country: Why? After all, it isn’t as if nobody could have forseen this terrible tragedy. Read this October 2004 article in the National Geographic. Or this 2001 article in the Scientific American. Their prescience will send a chill through you.